Are you looking for a happy night's sleep? Sleep Inn University Place in Charlotte will provide everything you need for a one-of-a-kind stay. 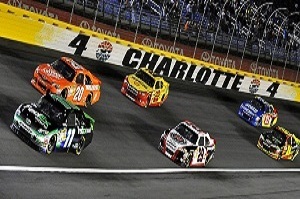 In close proximity to the hotel is Charlotte Motor Speedway, Bank of America Stadium and the PNC Music Pavilion. Experience the combination of friendly service, cozy accommodations and great rates at the Sleep Inn University Place hotel in Charlotte. We look forward to hosting you. Group travel, event planning and business travel are quick and easy when you book your group accommodations with Choice Hotels®. Have your next conference, reunion, meeting or special event at the Sleep Inn University Place. We value business travelers and that's why we offer special services and amenities to cater to your unique business needs such as a fax machine, business center, copy machine and computers with internet. Charlotte is a vibrant city full of beauty, business, culture, sports and the arts. We are proud to say that our hotel sits in close proximity to Rusty Wallace Racing Experience, Lost Duffer Miniature Golf and UNC Charlotte Botanical Gardens. When you choose Sleep Inn University Place in Charlotte as your relaxing sanctuary, you can let go, breathe and relax. As our valued guests, our hotel offers you free hot breakfast, WiFi, an outdoor heated pool, a business center and a free gym pass to Lifetime Fitness. When you are ready to call it a night and head back to your room, all our top notch amenities will be waiting for you. Our guest rooms feature a flat-screen TV, coffee maker, microwave and refrigerator, along with an iron and ironing board so your clothes are ready to go for the next morning. Our number one goal is for our guests to experience a vacation that’s uplifting and keep a smile on your face from beginning to end. You work hard so you can vacation more and SHOP harder. It's shop o'clock somewhere, and that somewhere happens to be Charlotte, North Carolina. With an endless amount of malls, outlets, boutiques and quirky thrift shops, you will be able to find your style at Charlotte Premium Outlets, SouthPark, Northlake Mall, Ballantyne Village and Rivergate Shopping Center. Happy shopping! Charlotte is very diverse and its food scene has a lot of character. For a taste of "soul", you can hit the most trendy and popular spots in the city known as Soul Gastrolounge and Seoul Food Meat Co. Looking for a taste of traditional Charlotte? You can learn a lot about a city by eating at some of its oldest restaurants. These spots are uniquely Charlotte and include Green's lunch and the Diamond. If you are looking to enjoy Charlotte's sports scene, we are home to the Carolina Panthers, Charlotte Bobcats and the Charlotte Checkers. You can't say Charlotte, without mentioning racing. However, if you like your action a little slower, the city is home to approximately 100 public and private golf courses. If you want to get wet, come visit the U.S. National Whitewater Center. You can also take in the beauty at the lake at Freedom Park. There is an over packed agenda for everyone. Charlotte's nightlife is enchanting. When the sun goes down, the city buzzes with born-to-be-famous local musicians, energetic dance floors, and bubbly drinks. From bowling alleys, to concert venues, to bars, there’s something for every personality in every pocket of the city. Charlotte Motor Speedway, formerly Lowe's Motor Speedway, is a motorsports complex located in Concord, North Carolina 13 miles from Charlotte. The complex features a 1.5 mile quad oval track that hosts NASCAR racing including the prestigious Coca-Cola 600 on Memorial Day weekend, the Sprint All-Star Race, and the Bank of America 500. The speedway was built in 1959 by Bruton Smith and is considered the home track for NASCAR with many race teams located in the Charlotte area. 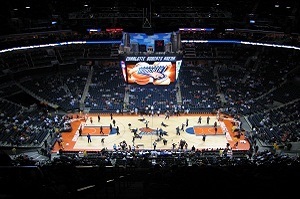 Spectrum Center (formerly Time Warner Cable Arena) is an indoor arena located in center city Charlotte, North Carolina. 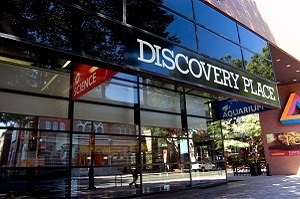 It is owned by the city of Charlotte and operated by its main tenant, the NBA's Charlotte Hornets. Opened in October 2005, the arena seats 19,077 for NBA games but can be expanded to seat up to 20,200 for college basketball games. 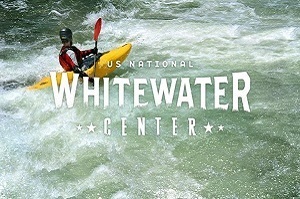 The U.S. National Whitewater Center is a non-profit outdoor recreation and athletic training facility for whitewater rafting, kayaking, canoeing, rock climbing, mountain biking, and hiking which opened to the public on November 4, 2006. The Center is located in Charlotte on approximately 700 acres of land adjacent to the Catawba River. The USNWC is an official Olympic Training Center for whitewater slalom racing. All children are welcome. Free! Up to two children under 18 years stay free of charge when using existing beds. Any additional older children or adults are charged USD 10 per person per night when using existing beds. One older child or adult is charged USD 10 per night in an extra bed. Free! One child under 2 years stays free of charge in a crib. The maximum number of extra beds/cribs in a room is 1. Any type of extra bed or crib is upon request and needs to be confirmed by management. Additional fees are not calculated automatically in the total cost and will have to be paid for separately during your stay. This hotel service charge of $1.61 per room per night. Staff so friendly and accomodating!! Clean, pretty rooms!! Great breakfast and amazing pool!! Went there on business and it felt like a vacation! Hot, cozy showers and hot fresh coffee all day!! Will be back to stay again!! Picked this place because it was close to the PNC Pavilion and the rate was reasonable. It also had good reviews. I was very satisfied with the room, staff and cleanliness of hotel and room. Breakfast was also included and very good. I will definitely stay here again! The employees were nice and helpful. The breakfast was awesome. The rooms were extraordinary! We changed hotels after making the mistake of attempting to stay at the Ramada(worst hotel EVER! ), which was the greatest change ever. If you want a hotel who has great service, great rooms, great breakfast, and a great location, I highly recommend this Sleep Inn. We enjoy staying at this Sleep Inn. We've stay here every time we come to town for a concert. Clean comfortable rooms and not far form the venue. Very friendly and helpful staff. Breakfast is always fresh and hot. My overall stay was amazing. Everyone was nice. The hotel was good. I recommend it to anyone. It has to be a safe place the police station was maybe a block behind the hotel. Wal-Mart was 2 minutes away. Time Warner arena was about 20 minutes depending on traffic. Overall it was amazing. The hotel is very nice. Staff is very pleasant. Check in was very easy. Room had all the amenities I needed. It was a pleasure to say here. I was comfortable the entire time. Room was also very clean and it couldn't have been a better experience. I had an excellent experience staying at this hotel. I will come again. The food was excellent tasting and the service out of this world. The laundry room was clean and the machines were priced good. The machines worked perfectly. I really enjoyed my stay at this Sleep Inn. It is very clean, the staff is wonderful and I enjoyed the free buffet breakfast before I left in the morning. Would highly recommend if you need to stay in the North Charlotte area. We could not ask for more in an overnight stay while traveling to Charleston. Easy to find, right off the highway. Rooms were clean and quiet. Manager at checkin was very friendly and helpful. Had a great stay. Staff very friendly. Very clean. Pool . Great breakfast buffet with waffle maker, bacon, eggs, sausage, cereal, juices, etc. Pool. Bed and pillows very comfortable. Excellent Just check your bill.